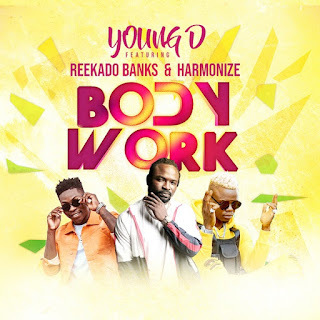 Nigerian producer and songwriter, Young D kicks off the year with a new single titled ‘ Body Work ’. The new song ‘ Body Work’ features Banks Music CEO, Reekado Banks and WCB Wasafi Records singer, Harmonize from Tanzanian. In addition, the song is said to be on his upcoming project called “ Fusion” EP to be released under MDR Beatz and Siderz Entertainment sometime this year.